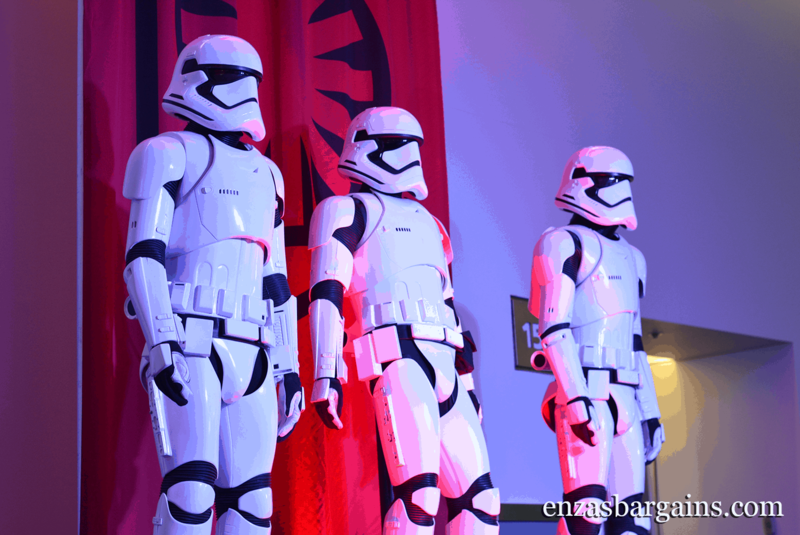 Secret "Star Wars: The Force Awakens" Press Junket Recap! 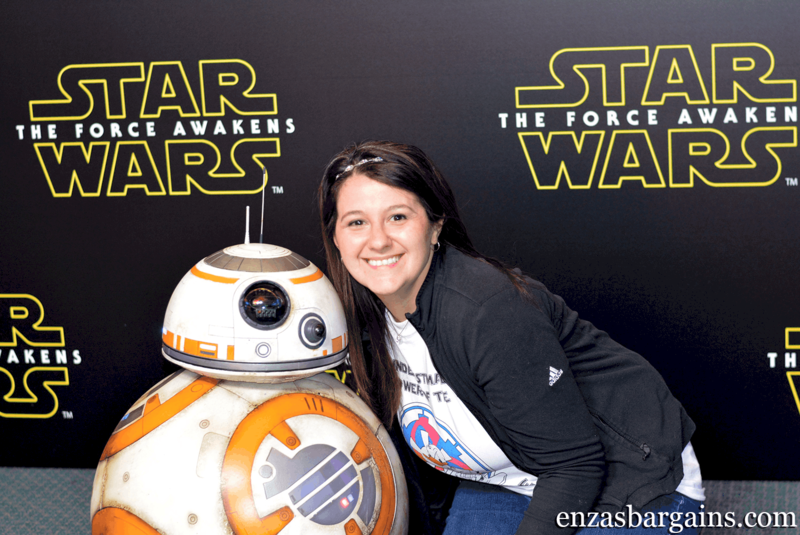 You are here: Home / Entertainment / Secret “Star Wars: The Force Awakens” Press Junket Recap! 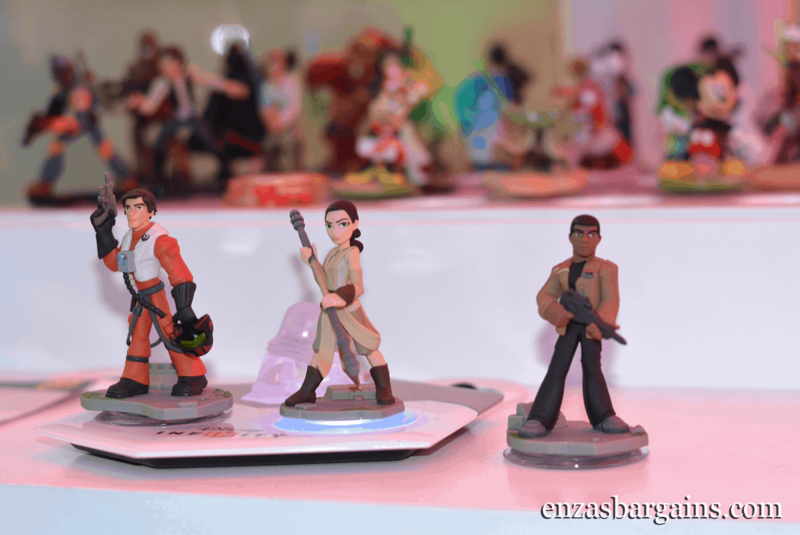 Secret “Star Wars: The Force Awakens” Press Junket Recap! 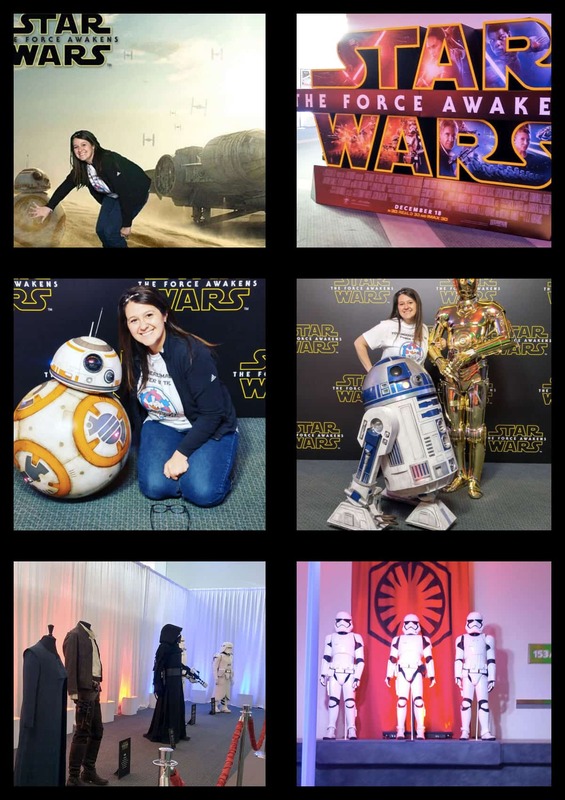 I was invited to an all expense paid press trip to LA to attend the Star Wars: The Force Awakens Press Junket. This event was very exclusive and top secret. Prior to entering or getting near the location, I was asked to turn off all of the geo-tracking on all my social media apps. I was also not allowed to announce that I was attending this press junket until the morning I left for LA. There were many fans that were following the hashtag on Instagram and Twitter asking where in the world the event was taking place. Of course, I wasn’t allowed to say anything about the event or where it was located. 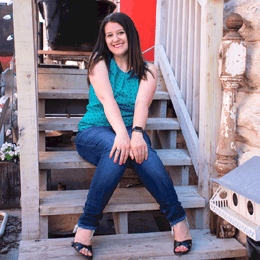 NOW, I can share some details with my favorite readers! That is you! As we arrived at the junket we were greeted with lots of security and a press junket that was covered under a huge white curtain. As we entered, we were asked to choose our bracelet: The Dark Side or the Light Side. There were several stations as we walked into the room! 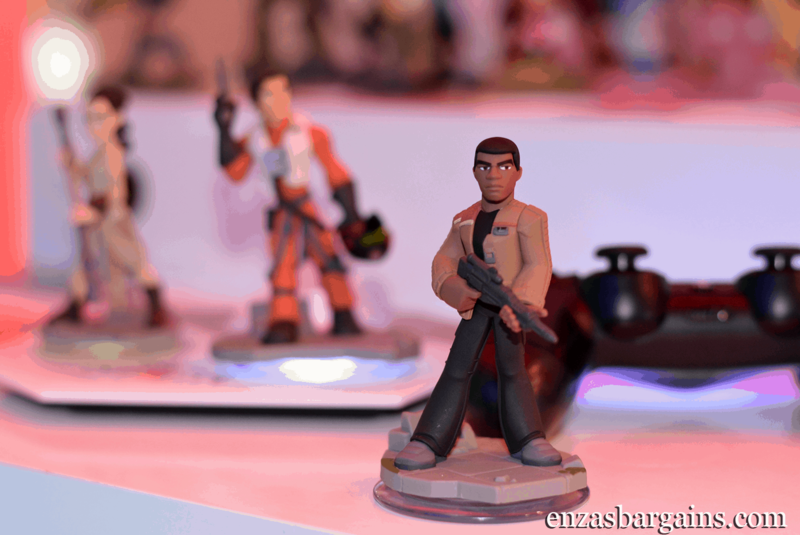 We had a video game section that displayed the Star Wars Disney Infinity Game. There are new characters in the game that can’t be released until after the movie because of the spoilers. 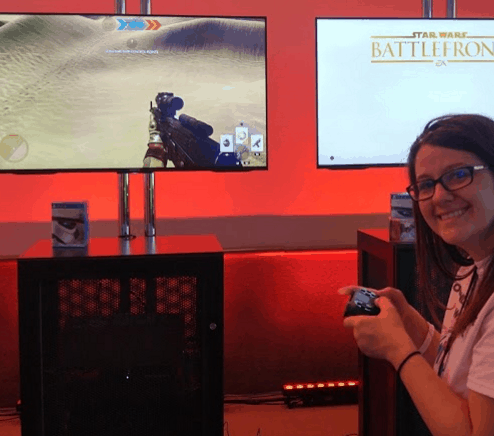 There was also a station set up for the new FPS game, Battlefront. I played this game for a little while and I had a blast! It felt like the good ‘ol days where I would play Halo online with all of my gaming friends (prior to kids). All of the new Star Wars merchandise was spread into an entire section on the floor. It had all of the new figures, clothes, toys, and more! Any Star Wars fan would totally be geeking out! As you continued to walk around the main room there was a virtual reality section with Verizon’s new Star Wars app and the new Google Cardboard! It is the coolest thing EVER! 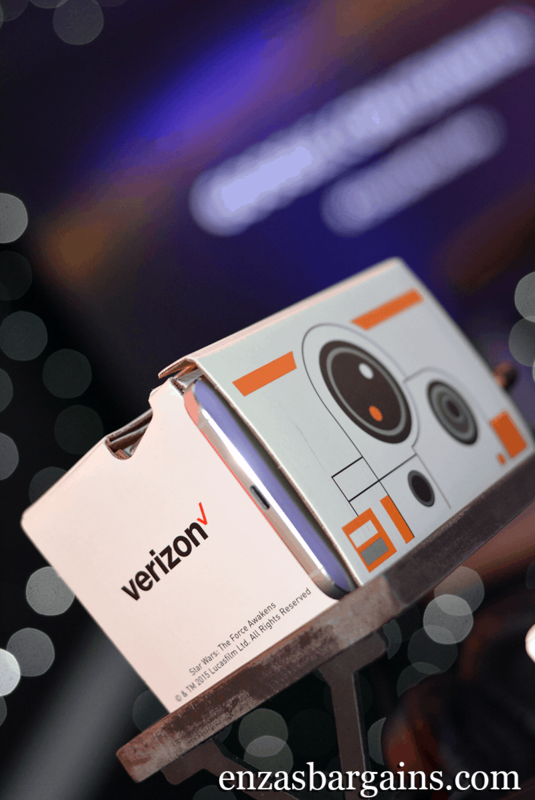 The Google Cardboard is totally free at Verizon stores for a limited time! The new junket t-shirts were set up at a t-shirt station! We were able to screen-print our own t-shirts! I can’t believe how fun and easy it was to create our new shirts! The ice-cream station with two choices of ice-cream: The Dark Side and the Light Side! So what was MY favorite part of the junket (besides interviewing the cast)? 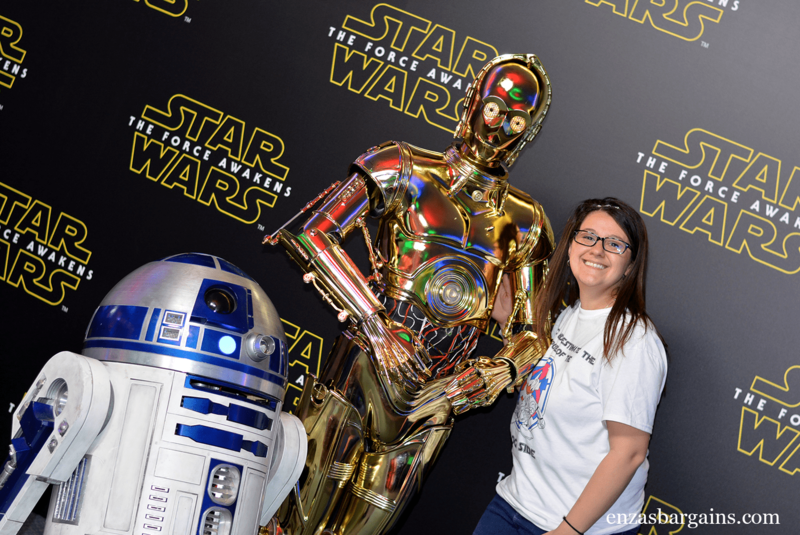 It was meeting R2D2, 3CP0, and BB-8! I feel in love with BB-8, the new droid in Star Wars: The Force Awakens! He just rolled right out in front of me, and started making noises and talking to me! It was seriously adorable! I was able to touch and interact with BB-8 like I would have never imagined! It felt like meeting a new baby. ☺ That of course doesn’t change my love for R2D2 and 3CPO! There like my buddies! If I were ever to visit a galactic world far far away, I would hope to have my buddies with me! The junket also had a museum of costumes and themed artifacts and of course a green screen photo booth! The of course what does every junket have…an interview panel! There was room for me to sneak in and be part of it, and that is what I did! I sat near the back because as soon as one section of the panel was over…I had to run to another room for our roundtable interviews! I realize that this event was a once in a lifetime opportunity! The new technology, the new story, and continuation of such a great story….is about to hit theaters and I can say that I was a part of the press junket! 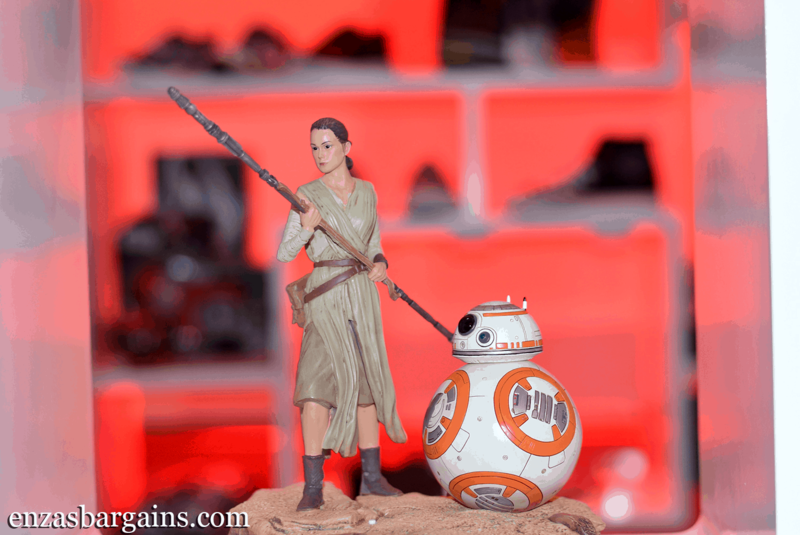 Check out 7 NEW things I learned about the new Star Wars movie! The new Star Wars comes out December 18, 2015! After our VERY exciting press junket day, we were surprised with a trip to DISNEYLAND! It was so much fun! We entered “Season of the Force” in Disneyland! We experienced a Disney theme meal, watched a show of all of the greatest parts of the old Star Wars movies which included parts of the new movie (that you have have seen in the trailer), we went on Star Tours, went on Hyperspace Mountain (Star Wars theme), and MORE! As if this day couldn’t be even more exciting?! Sounds like an exciting event. I can’t wait to see this movie. Looks like you had a great time. Star wars is such a great movie. 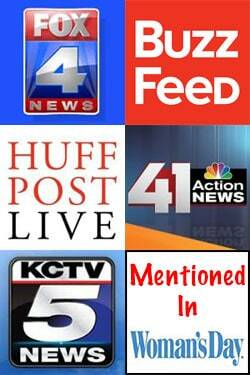 What a great opportunity you got being able to be on the interview panel. Pretty neat! This is really a great movie and theme for kids … I remember when the first one came out all those decades ago! You are so lucky to be a part of this event! Everything looks so awesome! I would love to have been there. Great opportunity! It must have been really hard to keep it all a secret. What a fun thing to be there for the junket! Looked like such a fun time. I’m really excited about this whole Star Wars come back and getting my kids to love it too. Looks like you had a blast. Star war is such a great movie and sounds like you had a great time! !